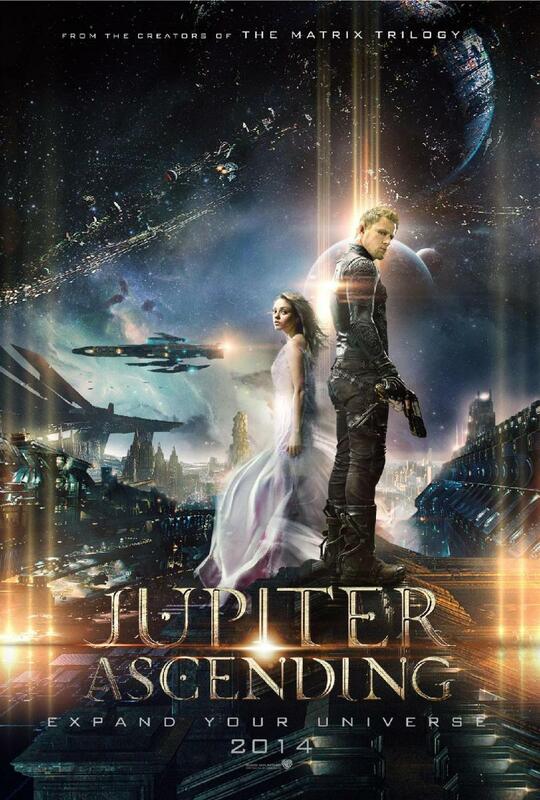 Why You Need to be Excited for Jupiter Ascending! This year, we were supposed to be treated to a new sci-fi epic from The Wachowskis. Its name is Jupiter Ascending, and it stars Channing Tatum and Mila Kunis. This movie will not be released this year. Instead, it got placed out in sci-fi no-man’s land, February. How many people hit up a fantasy for Valentine’s day. That’s right, I don’t really want an answer to that. The reason you need to be excited for this upcoming film…it is because these two filmmakers will most likely not be allowed to make another film after February 2015, because I don’t think Jupiter Ascending will be a hit. I want it to be, but the Wachowski track record hasn’t been great for box office gross. I loved The Matrix. You loved The Matrix. Everybody loved The Matrix. I loved The Matrix Reloaded. You liked The Matrix Reloaded. Some people liked The Matrix Reloaded. I loved The Matrix Revolutions. You did not. I loved Speed Racer. You didn’t see it. I loved Cloud Atlas. You haven’t heard of it. Disappointed is the name of the game here. The Wachowskis have, time and time again, given us something new and fresh, and we have ignored them. I can see why the sequels to The Matrix didn’t take off as much. People wanted what they wanted and this wasn’t the film (or films) that they wanted. There was so much fan fiction floating around the internet that people new they weren’t going to have normal expectations to the films. They didn’t. People just flat-out didn’t see Speed Racer. I can kind of understand that. You maybe weren’t sure if it was a kid movie or a family movie or an adult film. I wasn’t either, but it kind of became all three, and it did so with heart, enough heart that is rarely seen nowadays and difficult to muster up in movies where it feels authentic and also new. Speed Racer had that. Go watch it once. If you saw it back in 2008, go give it another try. You might just see what I was talking about. Now, Cloud Atlas boggles me. I can see polarized reactions to the film. That makes sense. It is fine if there were parts you just hated. That’s what makes a film worth talking about. People just didn’t see it, and that saddens me. Watch the trailer. Give opening night a thought.